With world-class facilities and great sporting legacy, East Midlands is the perfect place to enjoy sport all year round. Few know, for instance, that Nottingham is the home to the oldest association football team in the world that is still playing at a professional level, namely Notts County Football Club. Another important football team from the area is Leicester City Football Club, which competes in the Premier League, England’s top division of football. We are now exactly half-way through this season’s Premier League and the team is only on the 12th position in the charts, with 13 points after eleven matches played. 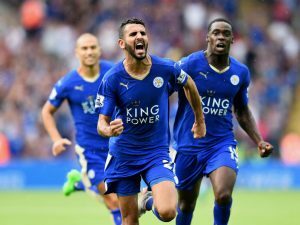 Though a successful team last season, when they won their first ever Premier League title, Leicester City are now in danger of relegation and have the serious task of trying to stay in the Premier League. They need to keep up with Liverpool, which has some time ago had some interesting additions to the team, which have actually strengthened them as a club. They have only won four games this season, against Swansea City, Burnley, Crystal Palace and Manchester City. The most recent encounter on the field was with Stoke City, and Leicester City led twice, through Vicente Iborra and Riyad Mahrez, but the game ended in a 2-2 draw as Stoke came from behind and Xherdan Shaqiri and Peter Crouch both equalised. At the moment, Leicester City manager is Claude Puel and the Foxes have scored two goals against both Everton and Stoke since he took over. The man of the match was Riyad Mahrez, who managed two goals and two assists in his last four games, reminding everyone of the ability that made him a key part of Leicester’s Premier League triumph last year. The international break is set to begin, so the teams are not in action for a couple of weeks, but up next, Leicester City will host Manchester City on Saturday, November 18. We’ll keep an eye out to see their progress in the tournament. Top three in the Premier League at the moment is made up of Manchester City with 31 points, Manchester United and Tottenham Hotspur with 23 points each, followed by Chelsea with 22 points. Even though Manchester City has a big lead, there is still a possibility of many interesting things happening. Aside from Leicester City and Liverpool, there are some other teams that may still surprise us. Matches are set to rekindle on November 18, so stay tuned.